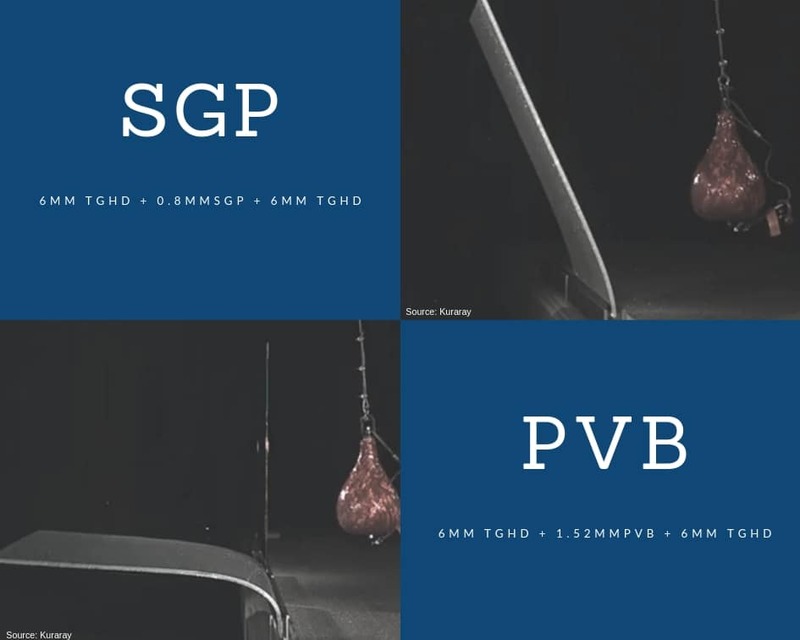 Home / General / Custom Laminated Glass- What’s the difference between SGP and PVB interlayers? 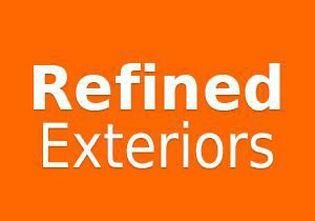 The availability of different glass products within the glass industry is ever growing and changing. New products are constantly being introduced to the market, making it difficult to keep up with the latest styles and trends, whilst meeting building codes and regulations. The various options of laminates glass processors offer make for more challenges when selecting a custom laminated product for an application. Typically “custom laminated glass” is the process of combining two or more panels of glass with an interlayer, which is placed in between the glass, bonding the panels together. Custom laminated glass is required in applications where safety and structural rigidity is compromised or subjected to high-pressure loads. The two most popular options are SGP (ToughView) and PVB (ToughGuard). Below we have gathered some key information to help you identify what laminate you require. SGP (SentryGlas® Plus) is a more rigid interlayer innovated by DuPont and produced by the supplier, Kuraray. The interlayer is 5 x stronger and up to 100 x stiffer than regular laminates such as PVB. This option provides the highest level of structural performance and edge stability for finished glass applications. When would we use SGP? Most commonly, when frameless balustrades are required without a handrail an SGP interlayer combined with toughened glass is required- ToughView. ToughView, when broken will hold together if a panel of glass was to break. Regular laminates, when broken are less rigid, meaning they are more likely to collapse and provide no support. This could be particularly dangerous if someone or something is to rest weight on the compromised glass. Edge stability is another factor why SGP is more suited in exposed edge applications as opposed to other interlayers like PVB, as it tends to absorb significantly less moisture, meaning less chance of de-lamination over time. 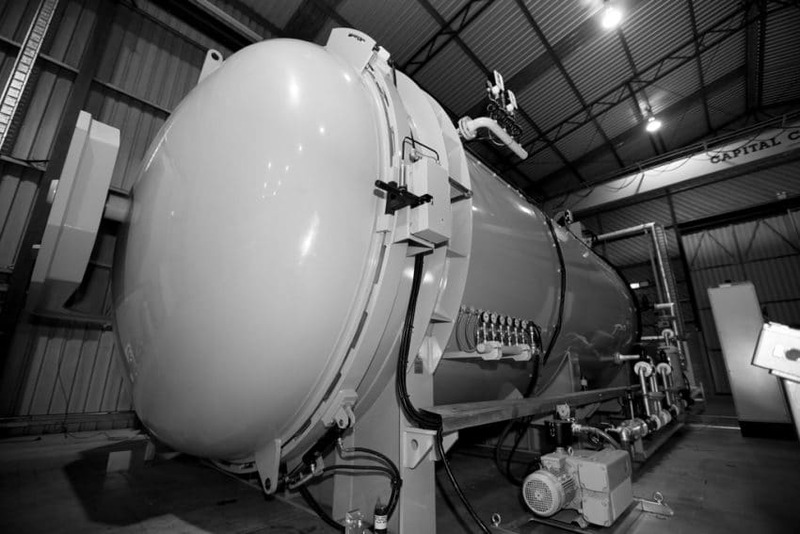 Heat Soaking- to reduce the risk of breakage with nickel sulfide inclusions at a later stage. Engineering- current codes & regulations do not cover all areas when selecting glass make-ups for certain applications. 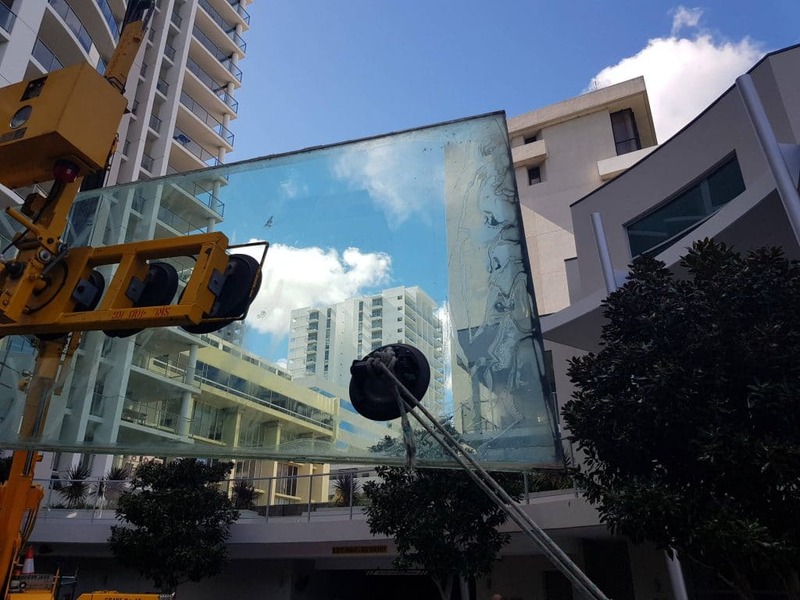 To ensure the size and fit out of the glass is suitable for application engineering is always recommended. PVB is another type of interlayer but does not have the same structural properties of SGP. When PVB laminated glass breaks, glass tends to hold together opposed to that of ordinary annealed or toughened glass. PVB is a more cost-effective solution and suitable product where higher structural performance is not required. When would we use PVB? Commonly PVB is used in windows and doors for both residential and commercial fit outs. When used it is highly recommended the edges are not exposed to high moisture or wet areas as this greatly increases the risk of the glass de-laminating and discolouring over a period of time. Tough Glass offers a range of different laminated products and can support with any other queries you may have. If you have an upcoming project, we would like to help.